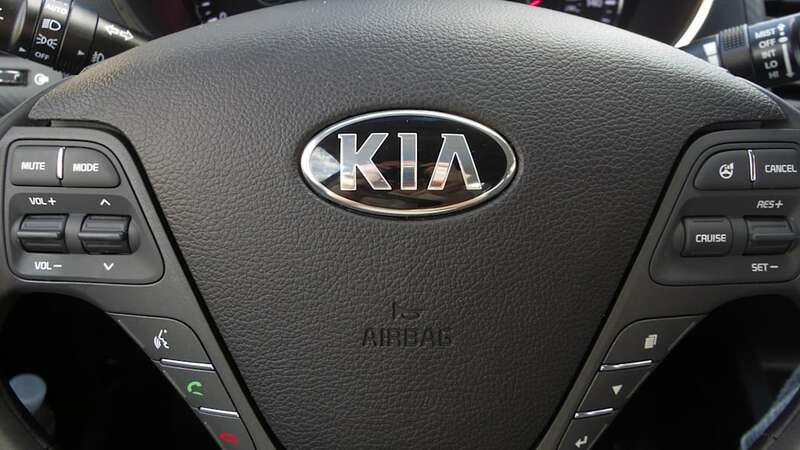 Autoblog rating for the Kia Forte is not available. Please check back later. 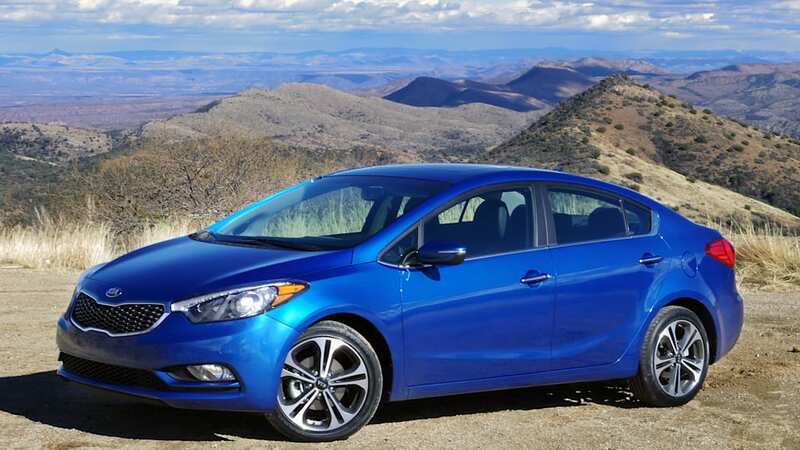 For those keeping track, the introduction of the 2014 Kia Forte sedan marks the second time in five years that Kia has completely redesigned its compact sedan offering. 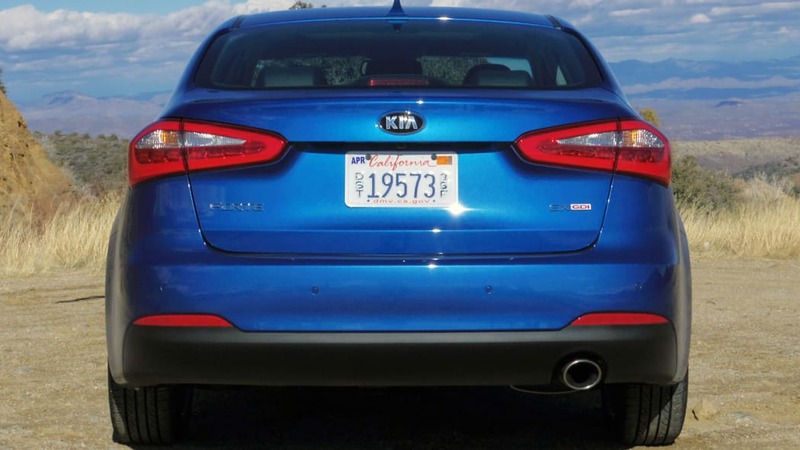 Put another way, car shoppers have now had three entirely different options in this category from Kia – the unloved Spectra along with two generations of the Forte – in the same period of time that Toyota has been building the current Corolla. 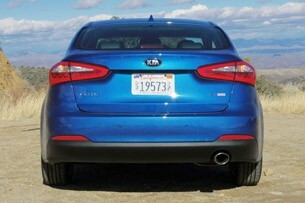 If nothing else, it's clear that Kia is committed to making as big of a dent in the compact class as possible. 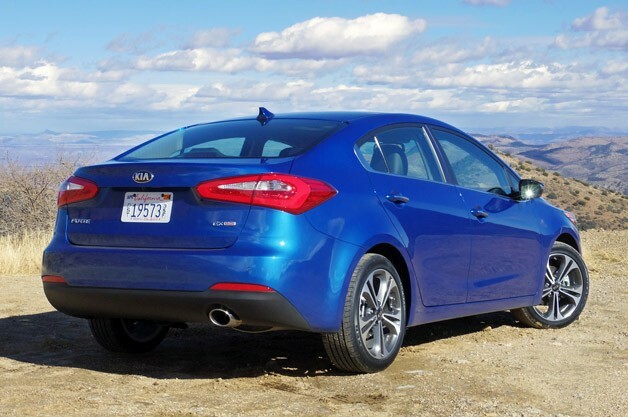 That said, none of Kia's entries have come close to challenging the dominance of the aforementioned Corolla, Honda Civic or Volkswagen Jetta, domestic offerings like the Ford Focus and Chevrolet Cruze, or even the Hyundai Elantra, its slightly older and more subdued Korean sibling, in the race for market share. 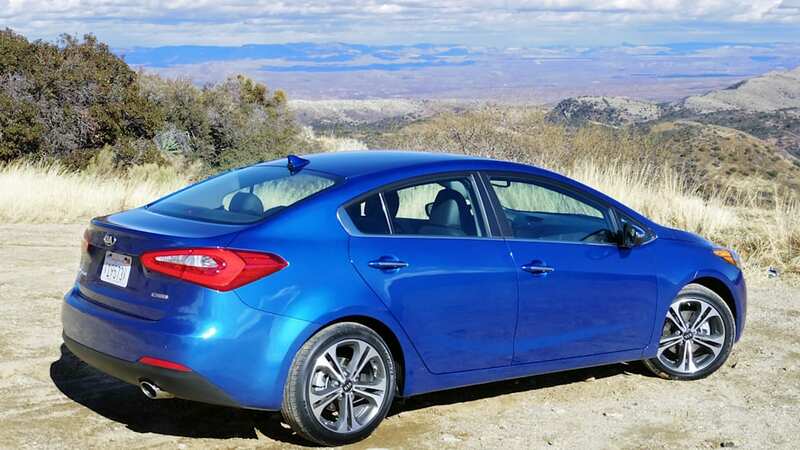 We spent a day driving the new 2014 Forte Sedan through the wide open spaces separating the copper mines of central Arizona to find out if Kia's latest offering has what it takes to play in the compact car Big Leagues. 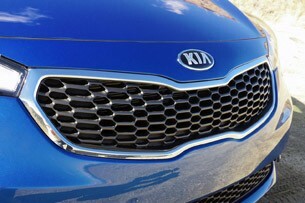 If there's one thing Kia has gotten right over the last few years, it's styling. While the brand was once known primarily for its low-cost approach to the automotive market in America, we now think of it of as something of a leader in shapely sheetmetal, thanks in no small part to the efforts of Peter Schreyer, the automaker's head of design. 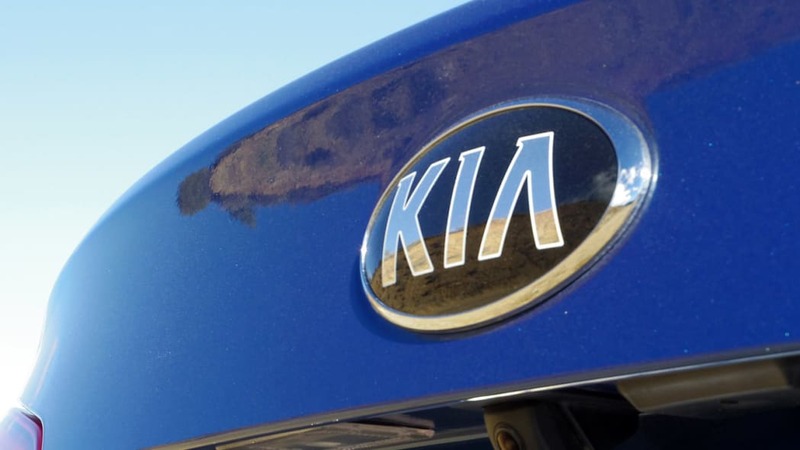 Each of Kia's products – from the little Rio up to the Optima midsize sedan – has gotten progressively more attractive with each new generation, and that's most certainly true of the Forte. 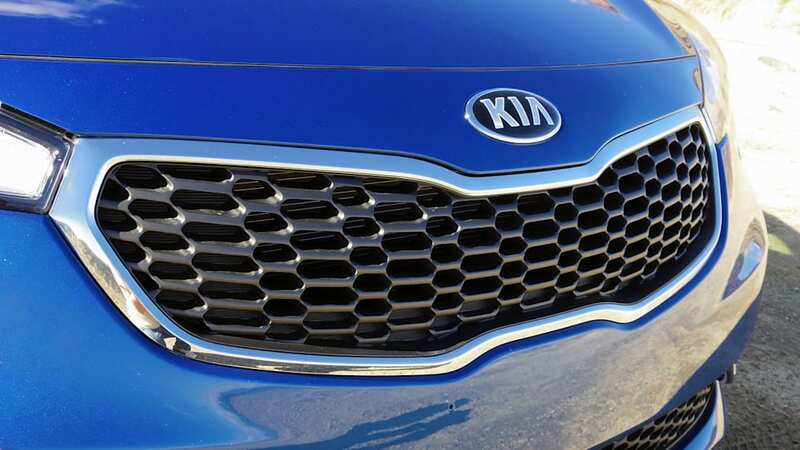 Kia is something of a leader in shapely sheetmetal now. 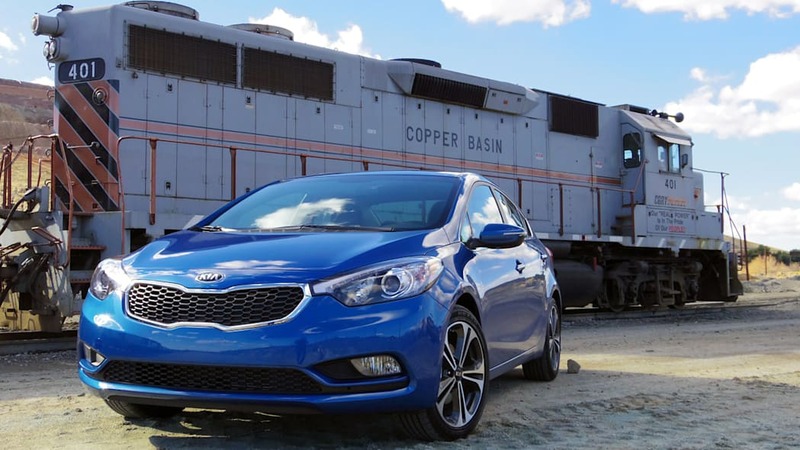 While the 2010 Kia Forte was crisply styled (and somewhat reminiscent of the Honda Civic, we might add), it wasn't what we'd call trendy. All that changes for 2014. 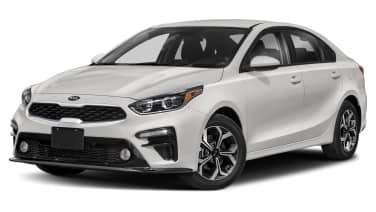 Kia's marketing team uses terms like "cab-forward," "coupe-like" and "European-inspired" when describing the latest Forte, and they have a point. Viewed in profile, the Forte's rakish A pillar and rapidly receding roofline conspire to create a visual illusion that's both sporty and on trend. 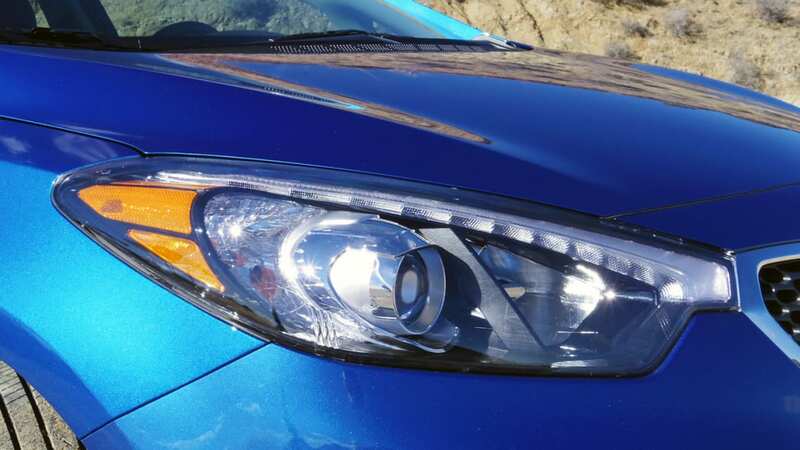 The front of the 2014 Forte is dominated by Kia's signature pinched grille in chrome and its twin swept-back headlamp clusters, which feature optional LED light strips for the first time. Out back, each of the taillamps in top-grade EX models house 81 individual LED units. 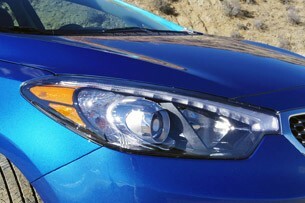 The Forte's bodysides are deeply contoured with hockey-stick-shaped sculpting... some may alternatively see a certain well-known swoosh in its flanks. 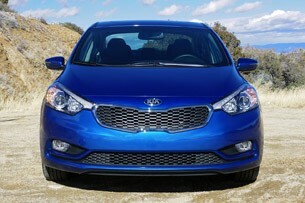 Altogether, each of the Forte's styling decisions mesh well and lend the compact sedan a refined and upscale look. 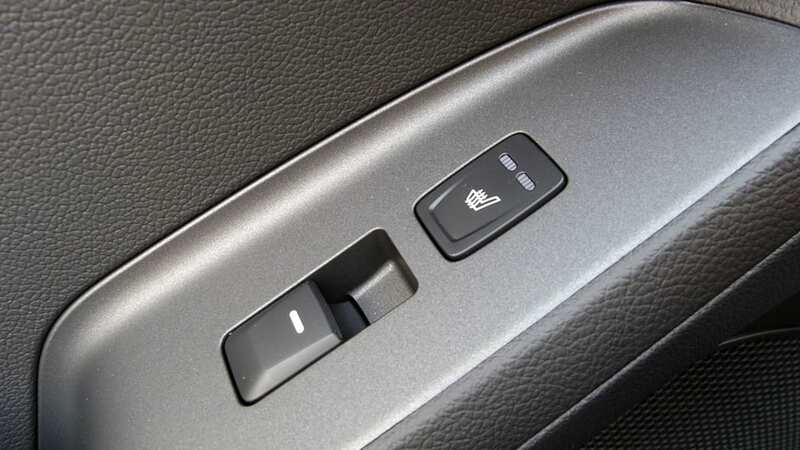 Its smorgasbord of safety features are all standard. 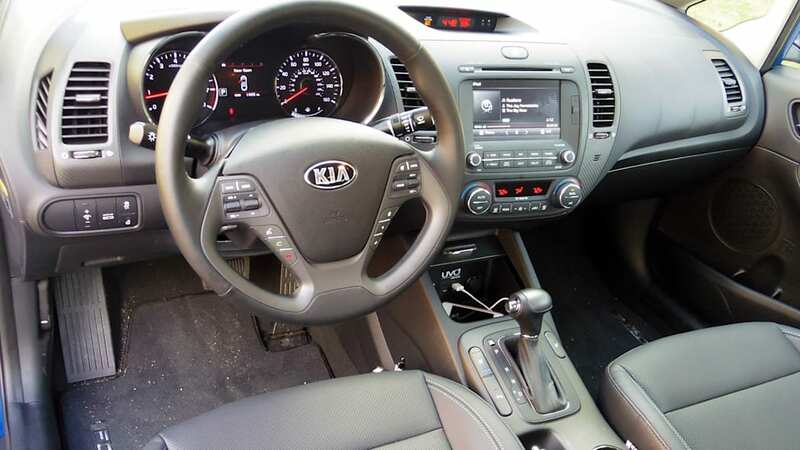 Inside the cabin, Kia has upgraded just about every surface and texture you can put your hands on. 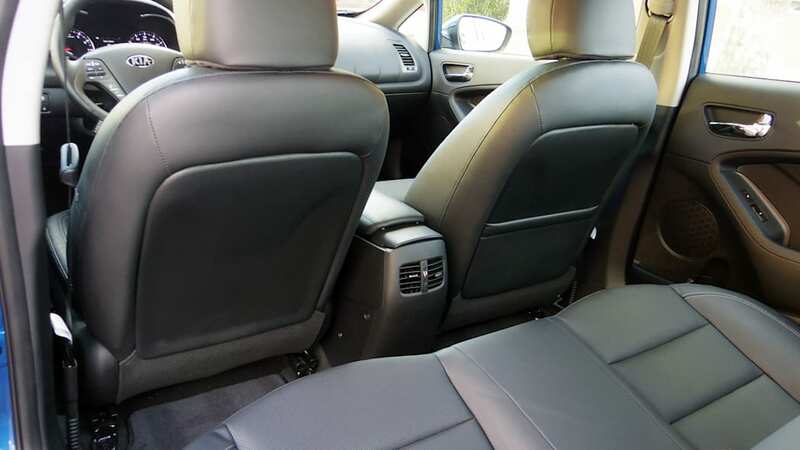 There's optional leather with a heated and ventilated driver seat, and front and rear passengers are treated to optional heated seating surfaces, a nice touch in this price class. 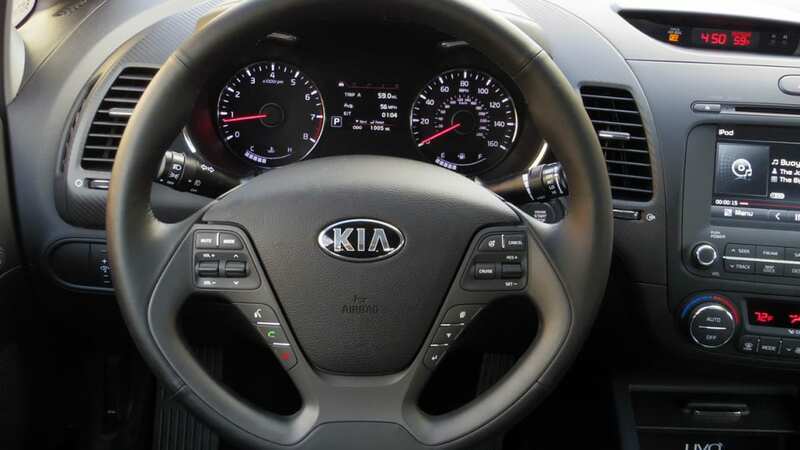 The overall in-cabin design is a bit bulbous from behind the steering wheel, but we appreciate the detail Kia has put into the 2014 Forte's interior design, all the way from the soft-touch steering wheel's comfortable stitching to the ripple effect echoing across the passenger side of the dash and door panels. Love it or hate it, at least it's unique, and we can all be thankful that the Forte is devoid of more me-too silver-painted plastic trim. 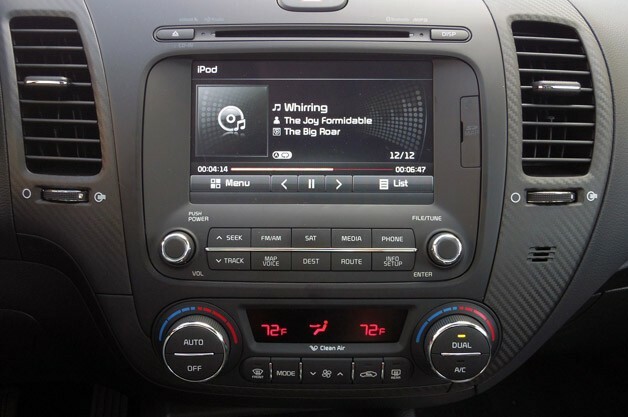 As we've come to expect from Kia, the Forte is loaded up with standard equipment that includes an AM/FM/CD/MP3/SiriusXM audio system with USB and auxiliary input jacks and Bluetooth connectivity, steering-wheel-mounted audio controls, power windows and door locks and a steering wheel that tilts and telescopes. 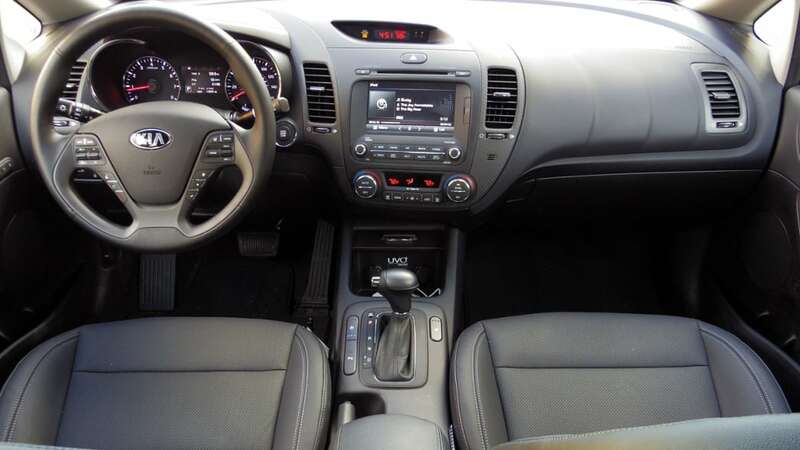 Its smorgasbord of safety features – including six airbags, four-wheel ABS disc brakes, stability and traction control, hill-start assist, brake assist, tire-pressure monitoring, and LATCH child safety seat tethers – are all standard. The most notable new-for-2014 technology is UVO with eServices. 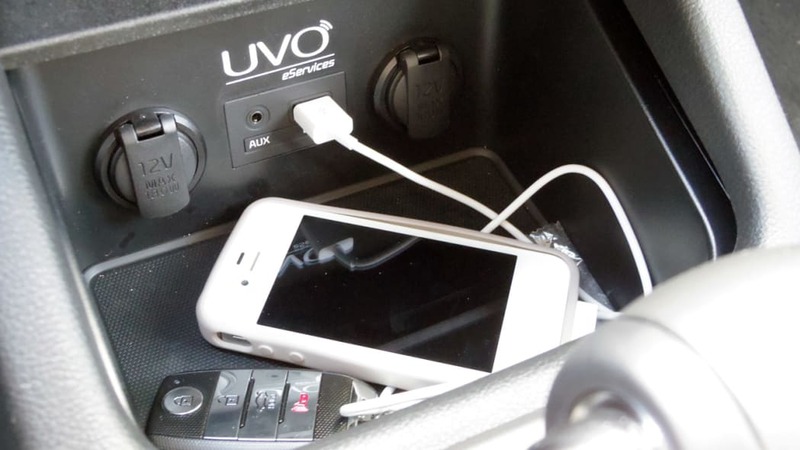 Of course, there's plenty of optional equipment as well, including navigation, a rear backup camera and a 4.2-inch LCD Supervision display cluster, but the most notable new-for-2014 technology is UVO with eServices. Using your own smartphone's data services, this latest UVO system, which, like Ford Sync, is powered by Microsoft, allows the user to use either an app (iPhone is supported at launch and Android is right behind, with other mobile OS platforms to follow), a tablet or computer on the web or the in-car unit itself for a multitude of operations. 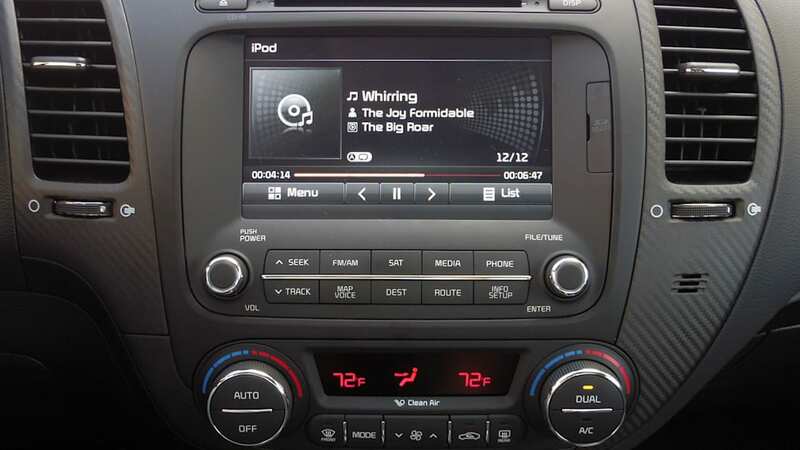 Some of the features include Google Maps, 911 Auto Connect, interactive roadside assistance, parental controls, an interactive help application, Pandora and Twitter. Using the smartphone or tablet apps, drivers can send information to their UVO system, including navigation directions. UVO will also monitor the car's health and send customized service notifications to the owner. As more features are added, UVO will even automatically update itself. In case you're wondering, previous versions of Kia's UVO technology will not work with eServices. 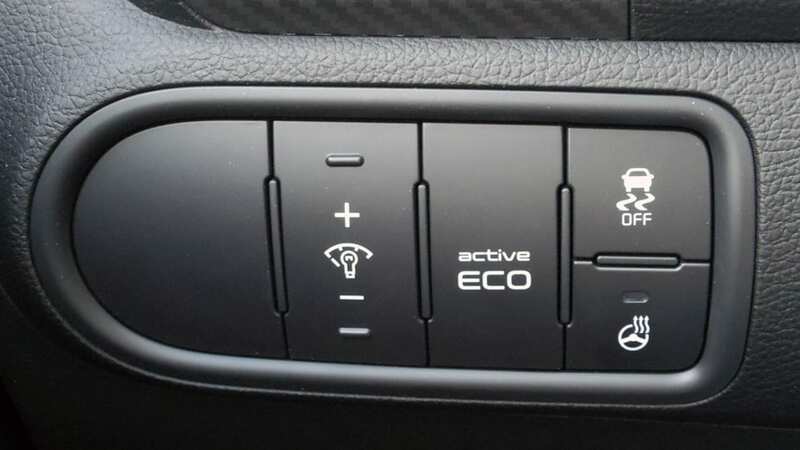 On the positive side, Kia is providing all of this technology at zero cost for 10 years or 100,000 miles, and the service is transferable if the car is sold. 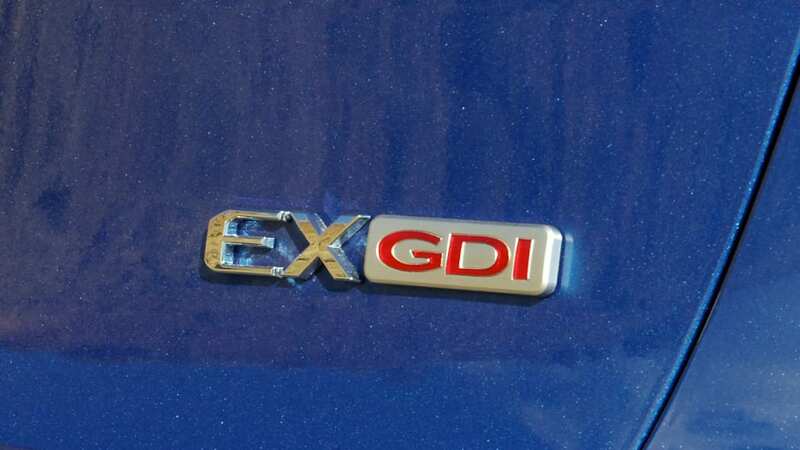 It's not yet clear what the automaker will do after the admittedly generous initial free period expires. Underneath its stylish duds, the latest Forte rides on a new platform that is longer, lower and wider than before. 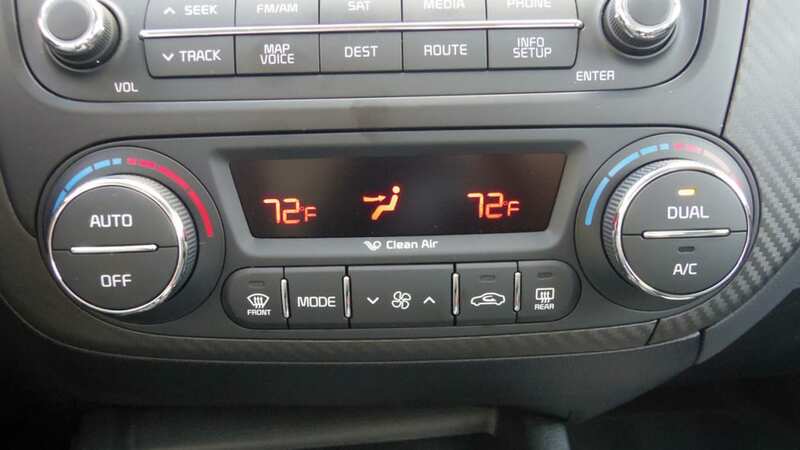 The additional two inches added to the new car's wheelbase (compared to the last-gen Forte), oddly enough, don't actually equal more interior room. 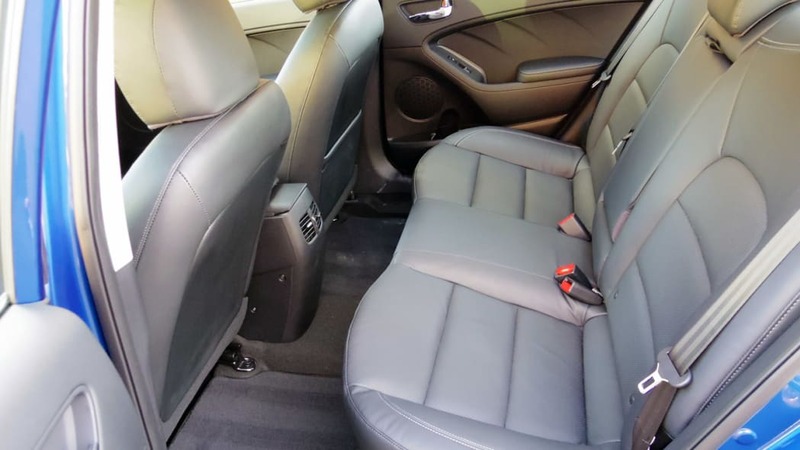 According to the automaker, the new Forte is within a few tenths of an inch of the last model when comparing front and rear headroom, legroom, shoulder room and total interior capacity (now 96.2 cubic feet, down from 96.8). 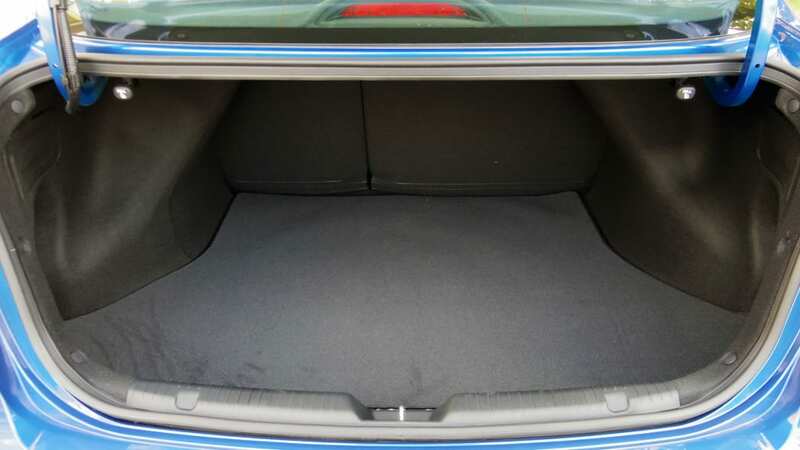 The good news, on the other hand, is that curb weight has been kept in check – the 2014 model's 2,736-pound base weight is just a few pounds greater than the 2013 – and trunk capacity is up .2 cubic feet to 14.9. 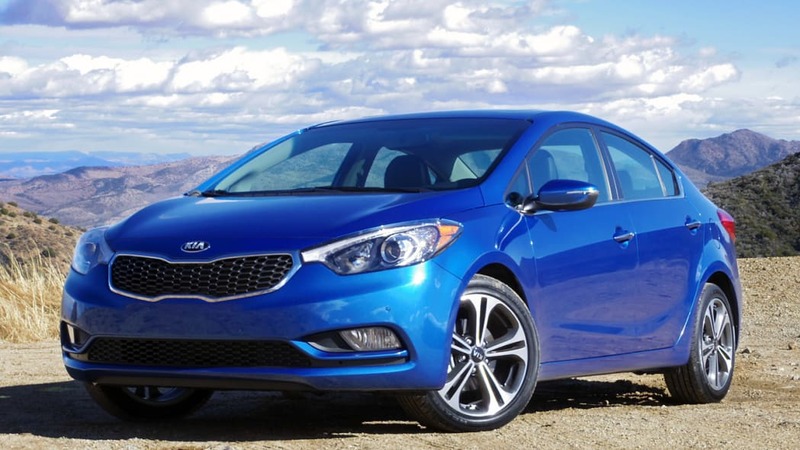 It's worth noting that the competing Honda Civic and Toyota Corolla are both in a dead-heat with the Kia in interior measurements, meaning the Forte's slight reduction in size isn't really all that noticeable. We didn't notice any real issue with the throttle mapping, which is a welcome improvement. Basic suspension setup carries over from the last Forte. MacPherson struts up front combine with a torsion beam and coil springs in the rear. It's nothing revolutionary, but it works well in this application and we found the ride and handling compromise to be very well engineered. Small bumps go mostly unfelt, while larger thuds move through the cabin without any undue strain or unsightly shivers. 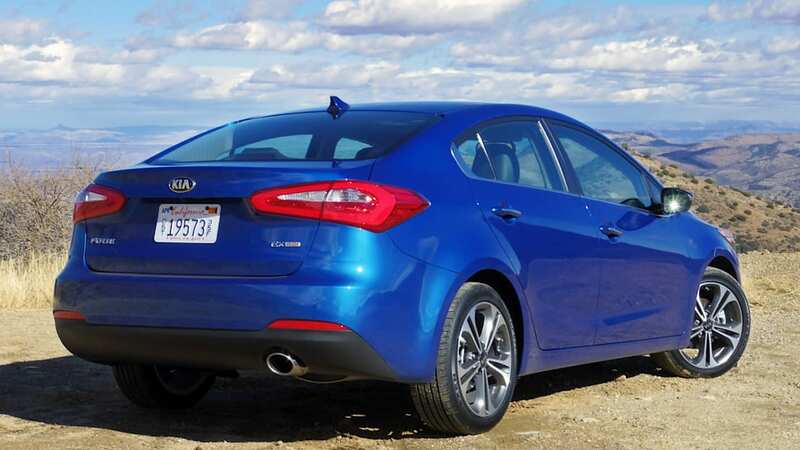 Unless the asphalt below is particularly rough, we also found the Forte to be pretty quiet, though perhaps short of the Lexus-quiet Chevy Cruze. Roadholding proved better than we expected, likely due in part to the upsized 17-inch wheels wearing optional 215/45R17 tires. 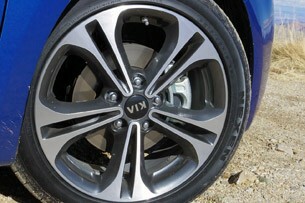 LX models, which we weren't able to sample, ride on small 15-inch steel wheels with 16-inch alloys optional; standard fitment on the EX includes 16-inch wheels. Similarly, braking performance was good, with a pedal that's firm and easy to modulate. 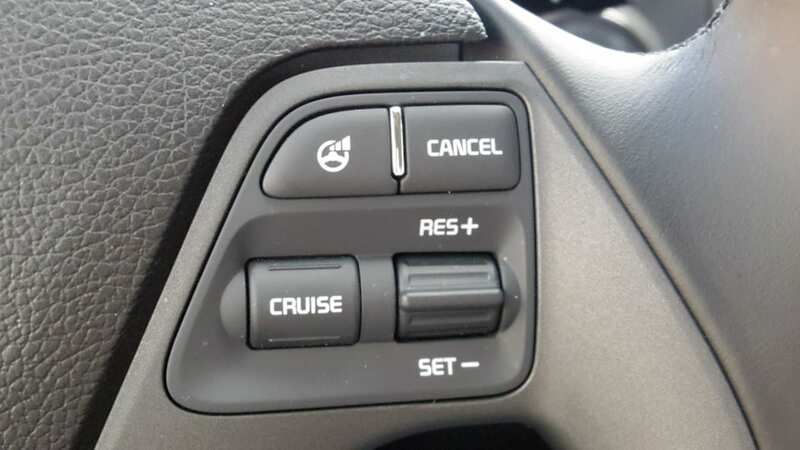 We didn't notice any real issue with the throttle mapping, either, which is a welcome improvement over the last Forte's rubberband-like gas pedal. 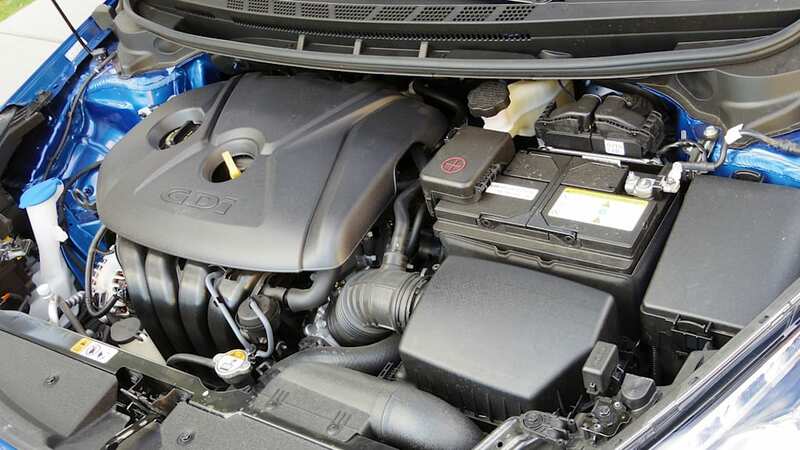 The EX nets a 2.0-liter engine with direct injection, offering up a stout 173 hp and 154 lb-ft.
Kia has switched from a hydraulic power steering setup in the last-gen Forte to a new electronic system for 2014. 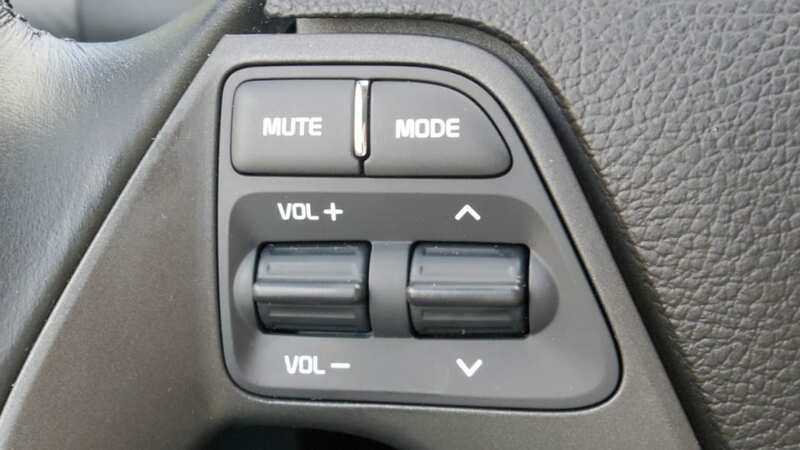 As is usually the case, the motor-driven rack is generally numb and lacking in feel, but Kia has at least seen fit to offer an optional Flex Steer package that allows the driver to switch between Comfort, Normal and Sport steering modes. 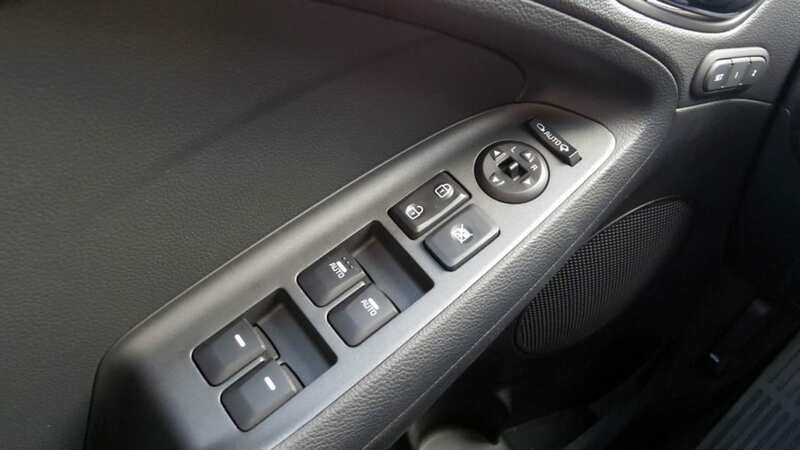 As you might expect, we preferred Sport and found Normal acceptable, but Comfort is useless and devoid of any redeeming value, assuming you have two fully functional hands with which to drive. 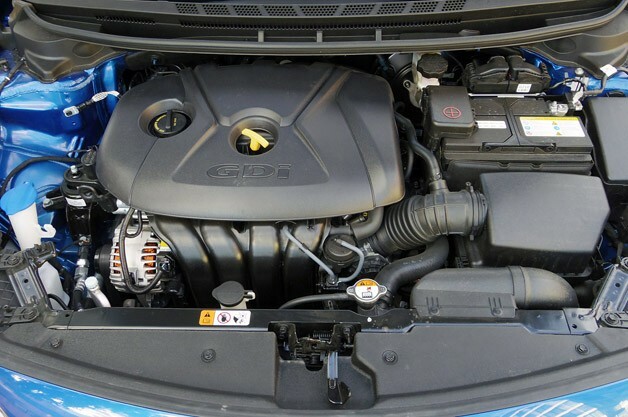 Power comes from one of two new four-cylinder engines. 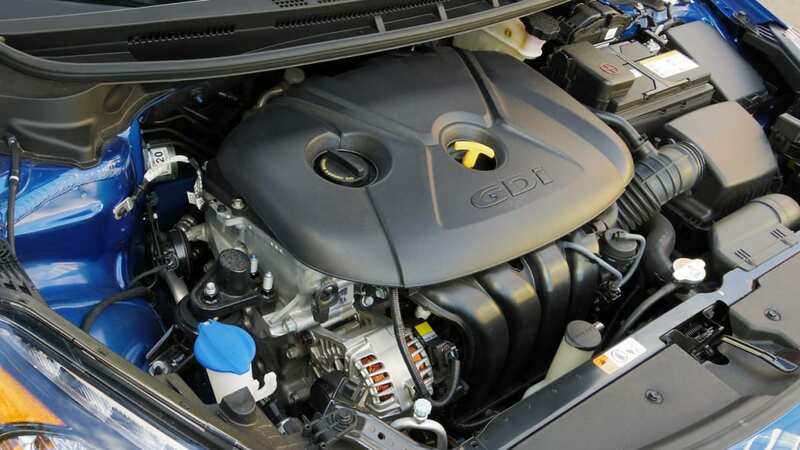 Base LX models get a 1.8-liter unit with multi-port fuel injection good for 148 horsepower and 131 pound-feet of torque – the same figures, not coincidentally, as the Hyundai Elantra's 1.8-liter mill. That's also the same displacement as the only engines offered by the Civic and Corolla, and the Korean is the most powerful of that bunch. 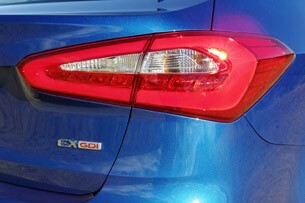 Stepping up to the EX nets the buyer a 2.0-liter engine with direct injection, offering up a stout 173 hp and 154 lb-ft of torque. 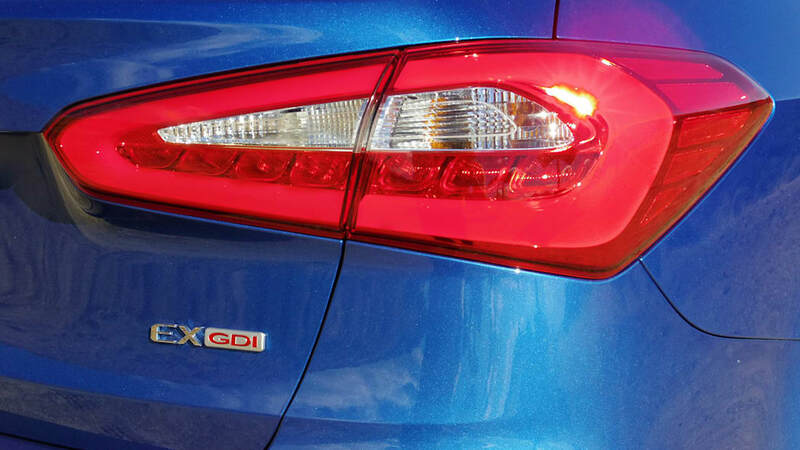 The Elantra is not available with anything but the standard 1.8 engine. We were only granted access to the EX and its 2.0-liter mill, and we found it pleasantly adequate in operation. 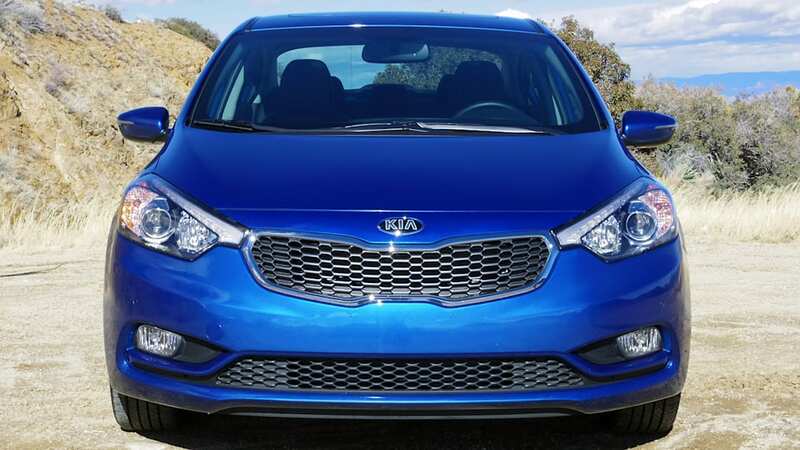 You won't be setting any acceleration records, but the Forte is plenty spunky in EX trim and never struggled for power while driving, even occupied by two adult men with the air conditioning running while driving up a 10-percent grade. 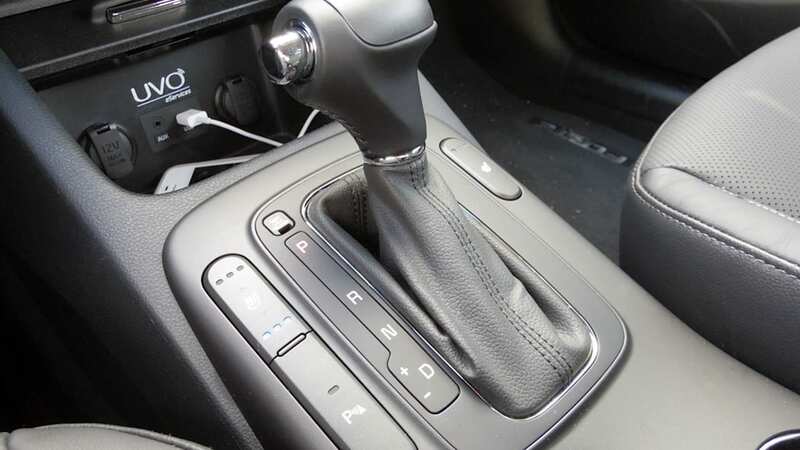 Part of the drivetrain's competence comes from the six-speed automatic transmission (a six-speed manual is available with the smaller 1.8-liter engine in LX guise, but we can't comment on its operation). That's not something you can say for the Corolla, which is saddled with an ancient four-speed auto, or the Civic and its five-speed gearbox. We'd need more seat time before we can report accurate fuel economy figures, but the 2014 Forte's digital readout claimed we managed nearly 32 miles per gallon over the course of our drive, which, if true, is mighty impressive – we weren't driving with economy in mind, and we had the car pointed up several of the steepest grades near Superior, Arizona. 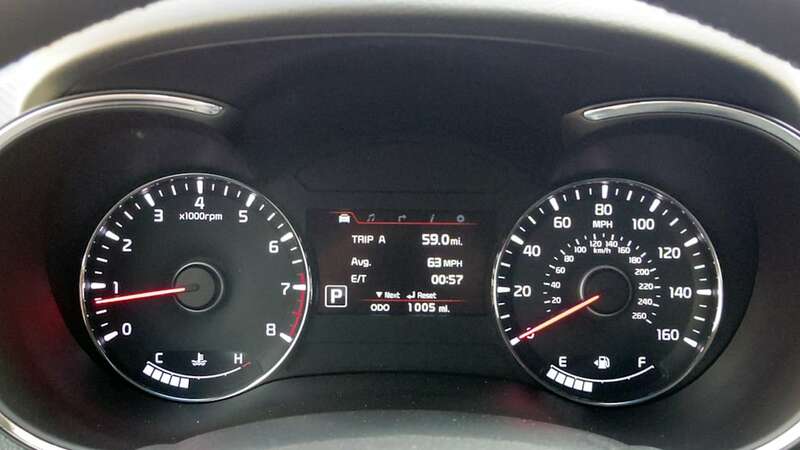 The Forte's digital readout claimed we managed nearly 32 mpg. 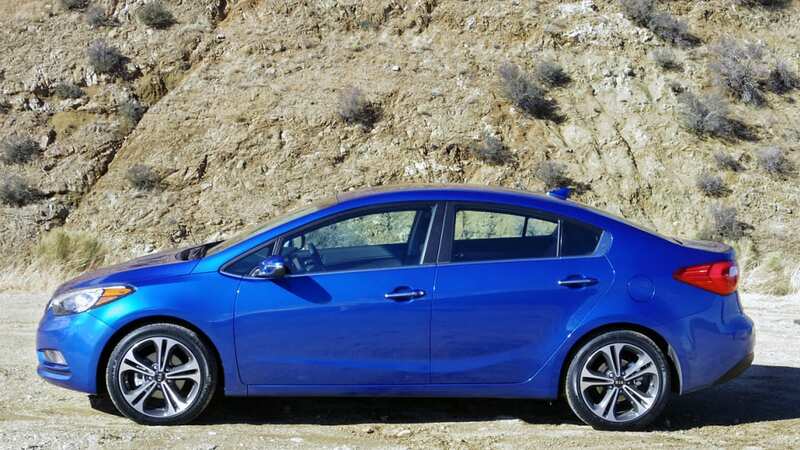 Kia tells us that the 2014 Forte will start under $16,000. A "well-equipped" LX model will run in the $18,500 range, and we'd imagine a top-level EX loaded with all the desirables will command a price in the low $20s, but we'll have to wait until the car's on-sale date in March to find out more. 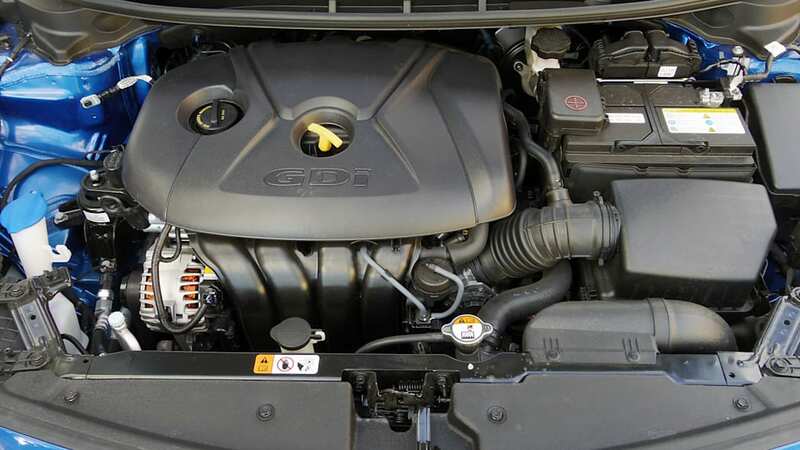 We'll also need to wait on official EPA fuel mileage figures, but we expect those will be a bit higher than the current Forte's 26 city and 36 highway numbers. 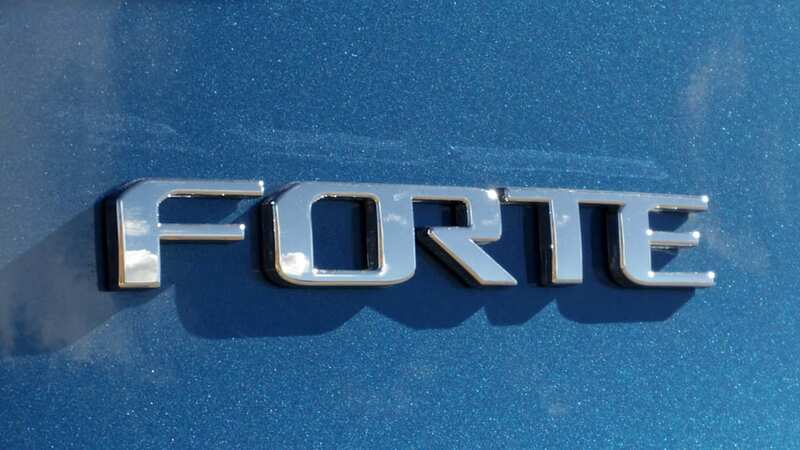 So is the latest Forte a credible alternative to the Honda Civic and Toyota Corolla, the two models that Kia says are the machines against which it is most often cross shopped? The answer is an unequivocal yes, assuming pricing and mileage numbers are in line with expectations. 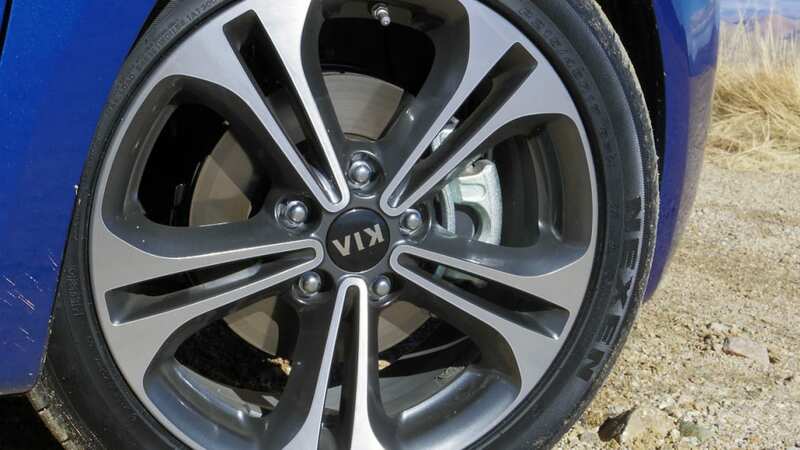 We look forward to spending more time behind the Forte's wheel to find out just how much we like it, but our initial impressions are quite favorable. Finally, it seems that compact sedans may indeed be – you knew this was coming, right? – Kia's forte after all.